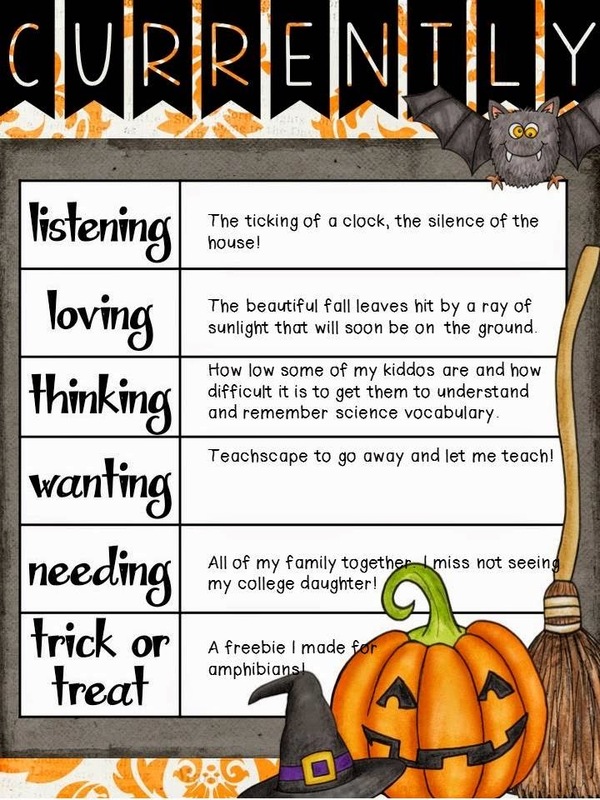 Once again, it is a new month and Farley over at Oh, Boy 4th Grade is having us connect with Currently! I love to see what everyone is doing and Oh, Boy maybe even some good tricks and treats! Loving the fall leaves and knowing they will soon be gone. Cold weather is on the way. Thinking about how hard it is for some students academically and wishing I had some new tricks up my sleeve when there are over 7 LD students in my science room with no assistance in one class. Any tips for vocabulary retention? Needing to have my whole family together...SOON! I sure miss having them all under one roof. I hope I don't have to wait until Thanksgiving to see my college kiddo. Treat for you this month! 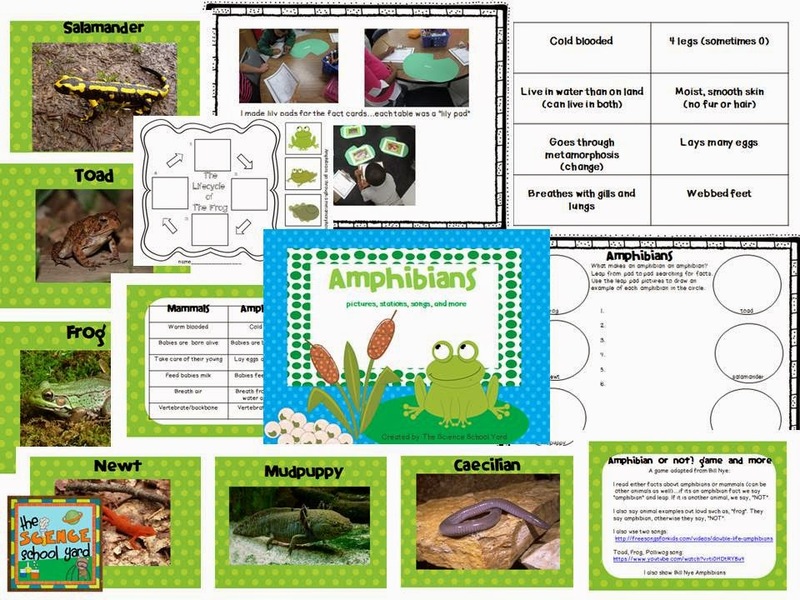 Amphibian Freebie! Hoppin over to the pond (carpet) to draw amphibians as they also hopped from lily pad to lily pad writing down facts! Love your freebie! Hopping from pad to pad... that is so cute!! !